The minCam360 Pan & Tilt camera is an innovative new solution for lightweight and convenient industrial drain and well inspection. It introduces the new concept of a pan & tilt camera heads with features like electronic zoom, endless rotation, a view angle diagonal of 136° and tilt view angle of 150° to capture images at new and previously overlooked angles. For added image clarity the camera is fitted with auto mechanical focus and intelligent light regulation. The camera system is extremely small and short, ideal for fitting into smaller pipes. The robust exterior and Sapphire glass protected lens is waterproof up to 6 bars, which allows peace of mind and reliable operation in a variety of inspection environments. The minCam360 features an 8.4” sunlight readable TFT-LCD remote control monitor which is ergonomically mounted on the reel in a Peli Stormcase for crisp display and clear visibility even in harsh sunlight. The high resolution MPEG-4 video, images and audio are conveniently stored on a SD-card, which can be removed to transfer data to other devices for easy sharing. The robust stainless steel and carbon cable reel can extend up to 60m and reach up to 90m with its 9.2mm push rod. Its control unit is fitted with simple to use function keys that manoeuvre the camera head. It also offers a light regulation option and battery status, so you will always know when to exchange the hot swappable batteries without losing any valuable running time. For added convenience and portability, a specially designed accessory case safely and easily stores a spacer, roller skid, air pump, sun shield and carrying strap. 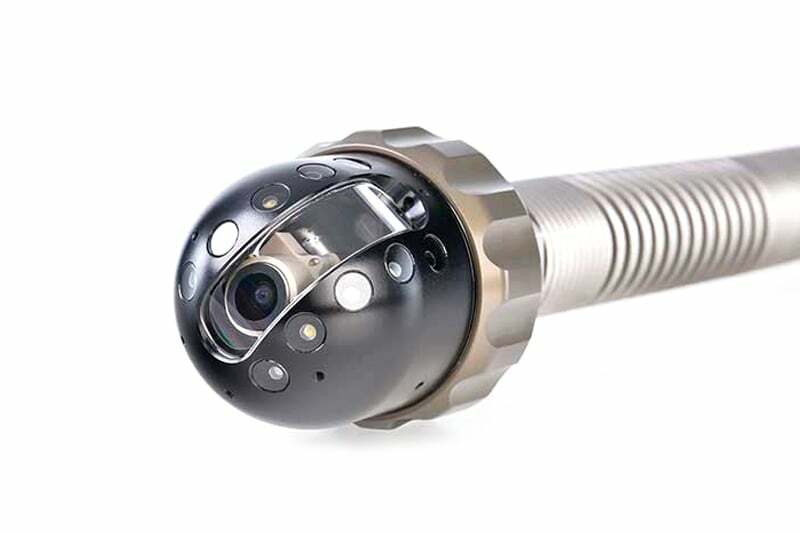 Contact us to find out more about the minCam360 or any of our other push rod cameras or click to view our pipe inspection camera range. 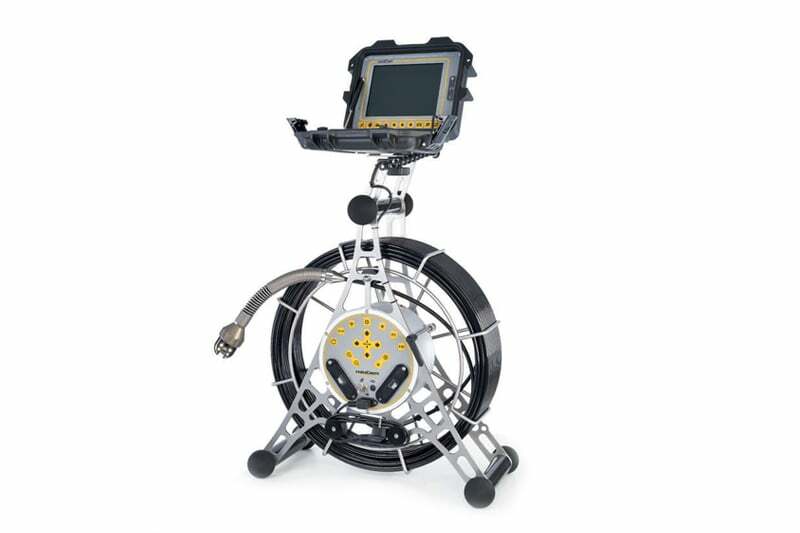 The Agilios Pan and Tilt Push Camera System is an easy to use, efficient pipe inspection camera system that delivers high quality performance in the toughest conditions.